Judging by the inclusion of Andy Murray on Tuesday’s entry list for the Fever-Tree Championships at Queen’s, you might imagine that everything remains on track in Murray’s comeback. Unfortunately, the real picture is considerably less rosy. The Telegraph understands that there is little prospect of Murray fulfilling any of his grass-court commitments: which include not only Queen’s but also the Rosmalen event in Holland, not to mention the big prize of Wimbledon itself. Whispers from close to the Murray camp suggest that the American hard-court season, which starts in earnest only in August, is now the more realistic target. There is even a theory that he should be especially cautious and delay his comeback until the end of the year. It is now almost 10 months since Murray’s last competitive match – last year’s Wimbledon quarter-final against Sam Querrey – and the outlook has failed to improve. Social media enthusiasts might remember a sense of optimism surrounding Murray’s trip to the Mouratoglou Tennis Academy in late March, as he posted a number of photographs of himself on the court, or wading into the ice-bath. Yet a veil has now descended once again, and Murray seems to be on a training break. All England Club regulars say they have not seen him for three weeks and his coach, Jamie Delgado, posted a photograph of himself on court with Tim Henman on Tuesday. 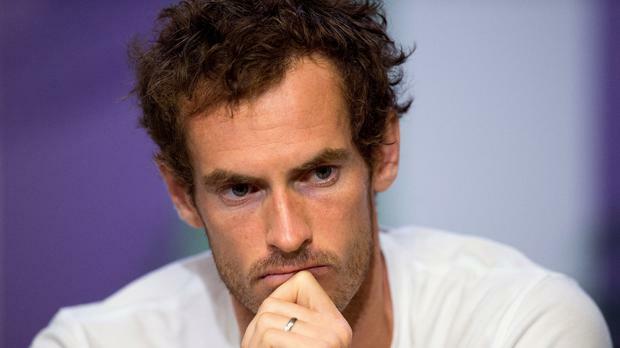 Admittedly, Murray’s own instinct throughout this drawn-out medical saga has been to aim high. With his 31st birthday now only a week away, he clearly feels each tournament that he misses as a dagger to the heart. This may help to explain why he keeps on entering more events, including not only Rosmalen but the Washington Open in early August. But he also keeps missing them. We have seen at least three different comebacks fail to happen: first at the US Open, then in Brisbane in January, and finally ahead of the Lawn Tennis Association’s new Challenger event in Glasgow. On Saturday week, a second Challenger will begin in Loughborough, but do not expect Murray to be at that one either. Given that the two tournaments are estimated to have cost the LTA about £400,000, and that only a handful of British players participated, the whole scheme now looks misguided. Murray backed the concept from the off, but the LTA should perhaps have treated his suggested comeback dates with more scepticism in light of what had gone before. The awkwardness of the situation provides some background to the recent LTA reshuffle in which Ollie Scadgell gave up his title as director of events and competitions – in order to take over the participation department – while Stephen Farrow, Queen’s tournament director, occupies Scadgell’s former post. The likely absence of Murray from the rebranded Fever-Tree Championships at Queen’s will be a blow for the tournament. He has won it a record five times, most recently in 2016. On the upside, though, Farrow and his team have attracted the strongest field in terms of rankings that Queen’s has ever had. The entry list includes world No 1 Rafael Nadal, the 2014 champion Grigor Dimitrov, and three exciting young talents in Nick Kyrgios, Denis Shapovalov, and the new British No 1, Kyle Edmund.